After a week filled with frenzy over the re-signing of last season’s saving grace Zlatan Ibrahimovic, reports have now emerged stating that the lethal striker may come back to Manchester United, but in a different role to what fans might expect. The Independent reports that Jose Mourinho is eager to have Ibrahimovic stay on at Old Trafford as a coach once his playing career is over. The idea is allegedly a key part of a potential new contract that is currently in the discussions. 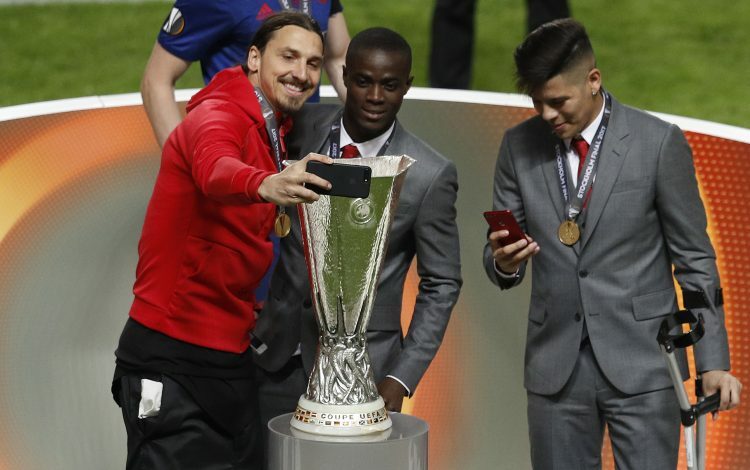 The Swede proved very valuable for the Red Devils last season, having netted 29 goals in all competitions, and paving the way for a maiden UEFA Europa League glory, amongst other laurels. The 35-year-old was quick to silence his critics who constantly reckoned that the veteran striker wouldn’t be able to replicate his illustrious European success in English football. However, his season came to a startling halt after he became victim to a horrendous knee injury during the Europa League encounter with Anderlecht that has put him out of action till date. Furthermore, his contract with the English giants expired in June, and the club has since released him as a free agent. Over the last few days, however, Mourinho has expressed a keen interest in retaining him for the long run. “We are discussing the possibility of him to stay with us,” remarked the Portuguese boss during a press conference last week. If the deal does come through, he will be in a similar position to what Didier Drogba and Ryan Giggs found themselves in towards the end of their careers. The thought of the headstrong Swede as a coach is a daunting one. Aside from his brilliance on the pitch, he is notorious for having a strong and vicious personality that many believe to fit perfectly with that of the Red Devils. What will the future hold for Zlatan at Old Trafford?